The Martin-Beland-Miller Memorial Woods was donated to MNA by Otto Miller and Mary E. Frolich Miller in 1996. The sanctuary honors the last names of Otto Miller’s ancestors who had owned the property beginning in 1839. After the initial ownership by John C. Martin—the brother of Otto Miller’s great-great-grandfather — the property was eventually transferred to Otto Miller’s grandfather, Fred Beland, and then Otto Miller’s parents, James and Florence (Beland) Miller. The Millers prided themselves in the stewardship of the property in the family’s 160 years of ownership; the land was never pastured, and only light timber harvest was ever conducted. The only known timber removal was in 1910, when Fred Beland cut timber exceeding 21 inches to build a nearby house. The sanctuary is a fragment of southern mesic forest which has been exposed to very light past disturbance. Mesic southern forests are dominated by American beech and sugar maples and found on flat to rolling topography with predominantly loam soils. Natural disturbances in these forests are characterized by gap-phase dynamics; mesic southern forests experience frequent, small windthrow gaps, which allow for the regeneration of the shade-tolerant, canopy species. These forests tend to be multi-generational, with old-growth conditions that last for many centuries. Martin-Beland-Miller is home to a variety of large trees, including two large tulip poplars, large oaks, red elm, butternut, and hickory. The sanctuary is covered with a wide variety of wildflowers and bursts with color in the springtime. The small portion of the sanctuary on the west side of the drainage ditch is much younger successional forest, and this area was likely cleared or farmed at some point in the distant past. The sanctuary is classified as a Class A sanctuary, so the public is welcome to visit during daylight hours. A looped vehicle trail is present in the sanctuary, making Martin-Beland-Miller one of three MNA sanctuaries that provide access to handicapped individuals with motorized accessibility devices. 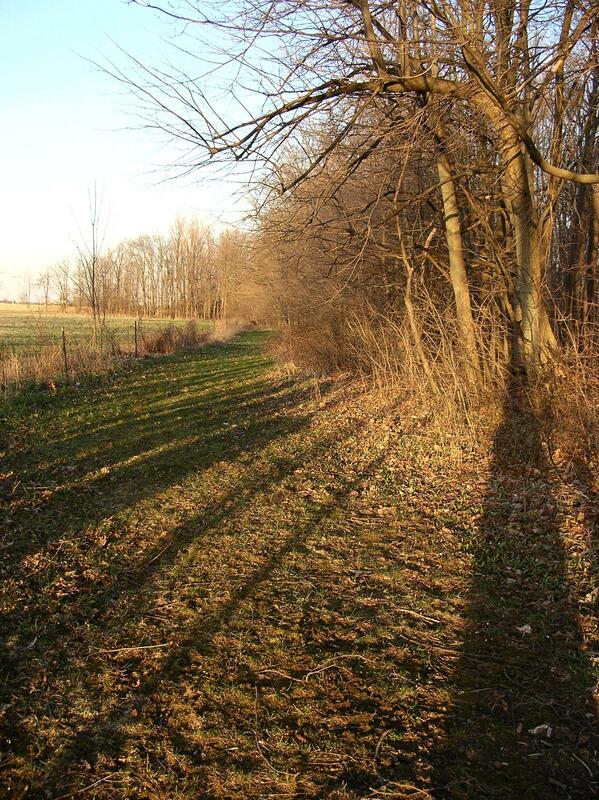 A second trail loops through the western portion of the sanctuary, west of the drainage ditch. This trail is part of the trail system that is maintained and used in partnership with the nearby Indian Creek Camp and Conference Center. The campground owners use the sanctuary trails for occasional hayrides for campground visitors in the fall In return for maintaining the trails year-round. Martin-Beland-Miller is home to a wide variety of wildflowers, which visitors can see blooming in the springtime. In addition, campground visitors at the nearby Indian Creek Camp and Conference Center can take hayrides on the sanctuary trails during autumn weekends. To get to the sanctuary, visitors traveling the trail from the Indian Creek Camp and Conference Center should cross the bridge over the ditch and walk toward the sanctuary sign. The trail by the sign will take visitors through the nicest parts of the sanctuary.